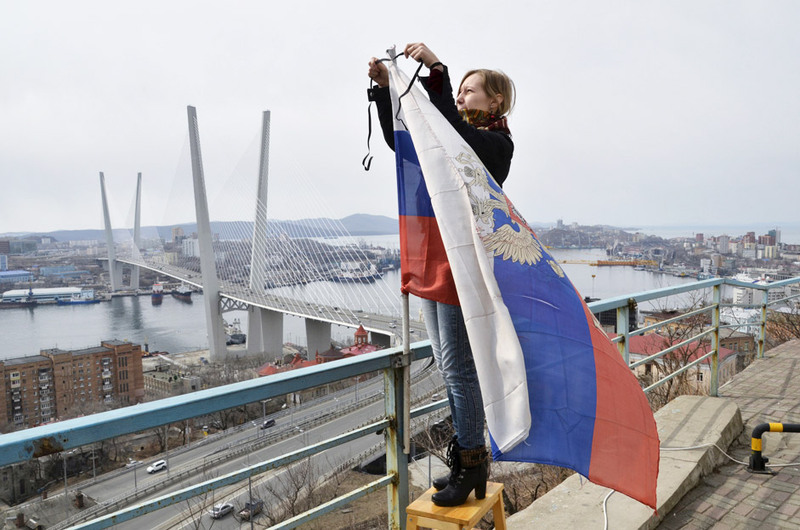 A woman attaches a black ribbon for those killed in the sinking of Dalniy Vostok, to a Russian national flag in Vladivostok April 7, 2015. A Russian trawler Dalniy Vostok sank in the Sea of Okhotsk off Russia's far eastern Kamchatka peninsula on April 2, 2015, killing at least 56 of the 132 crew, the emergencies ministry said on April 2. A woman attaches a black ribbon for those killed in the sinking of the Dalny Vostok to a Russian national flag in Vladivostok on April 7. The Russian trawler Dalny Vostok sank in the Sea of Okhotsk off Russia's Kamchatka Peninsula in the Far East on April 2, killing at least 56 of the 132 crew.